Strawberryland Forum Strawberry Shortcake General Discussion DHX Media to co-produce new SSC animated episodes. Strawberryland Forum Strawberry Shortcake General Discussion DHX Media to co-produce new SSC animated episodes. Strawberryland Forum Strawberry Shortcake General Discussion DHX Media to co-produce new SSC animated episodes. 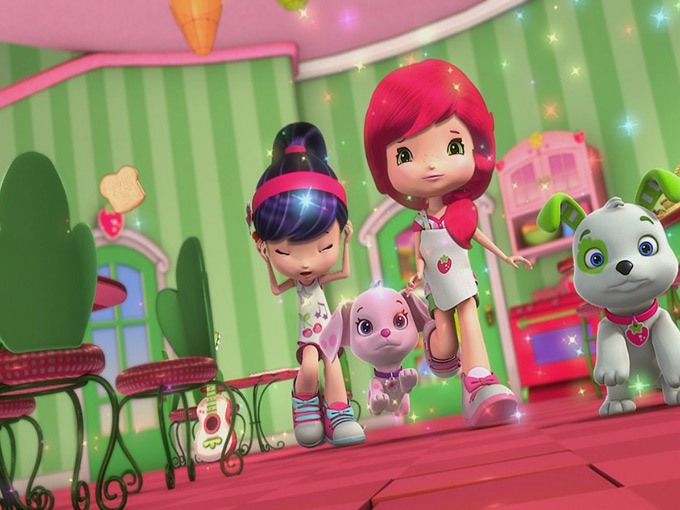 Canada’s DHX Media and New York-based Iconix Brand Group have partnered to develop and produce a new animated series based on the Strawberry Shortcake brand. As outlined in the long-term agreement, the companies will co-develop, finance and produce at least 39 new half-hour episodes of Strawberry Shortcake, with the option to produce more. DHX Media will produce and globally distribute the new show, with its international licensing agency, CPLG, holding first-right of negotiation to represent the brand in certain territories. Iconix will handle global merchandising and licensing for the brand. DHX will now also hold the exclusive distribution rights to the series' back catalogues as well - I'm certain this applies to the 80s and early 2000s renditions besides the current universe considering they've been uploading those on their YouTube channel as throwback videos.